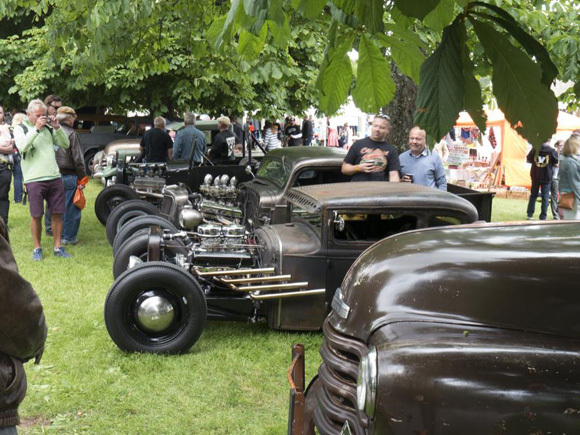 Celebrating the world of customised cars and bikes, Beaulieu’s Hot Rod & Custom Drive-In Day on Sunday 19th June, will bring together hundreds of incredible, classic machines and showcase the live music and fashions of the custom scene. 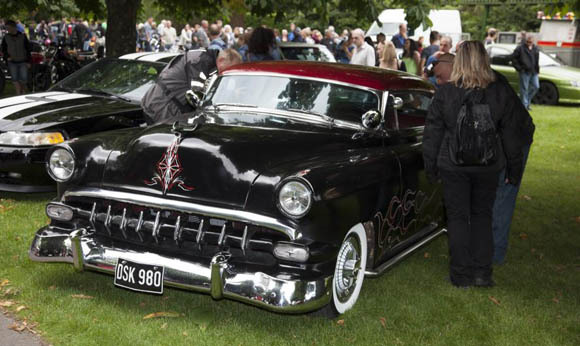 More than 500 custom, hot rod and American cars and bikes are expected to drive into the Beaulieu grounds to take part in the colourful display, in association with classic American car club the Solent Renegades. 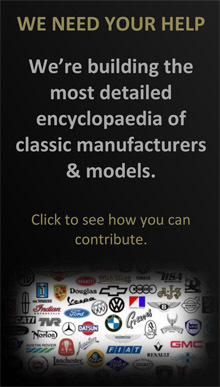 See immaculate custom cruisers parked alongside stripped-down hot rods, ‘slammed’ Stateside classics and many more imaginative creations. 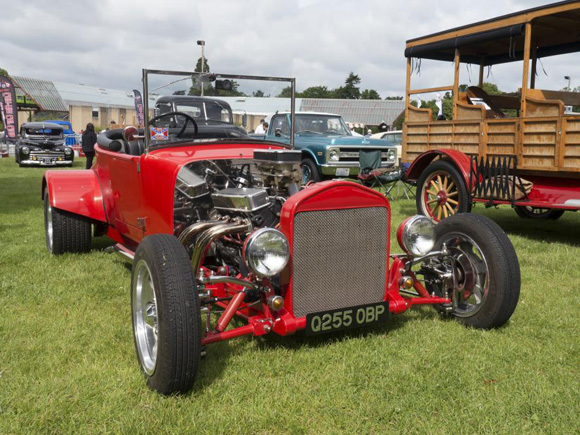 With a multitude of two and three-wheeled machines taking part, there will be plenty for bike and trike fans too, from mega-powered machines to astonishing pedal-powered models. The popular custom bicycle club Crank Jesters will return to the show with a mind-blowing display of custom bikes. For the first time this year, Daltons Transport will bring a collection of its lorries with amazing airbrush artwork. 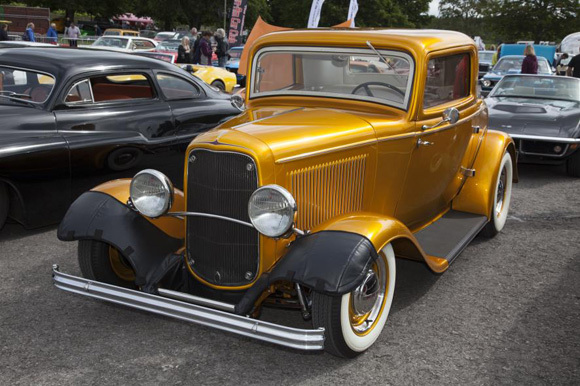 Hot Rod & Custom Drive-In Day appeals to varied motoring tastes and is a great day out for all the family. 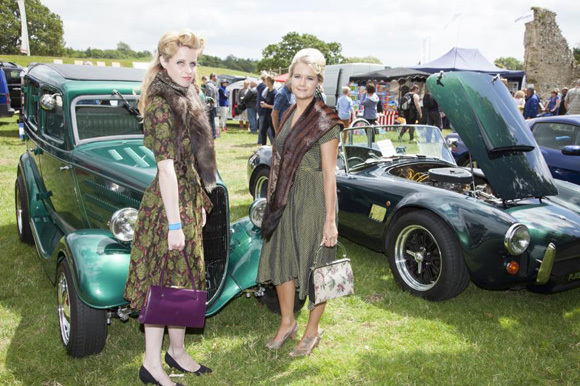 In tune with the era, Bows & Braces will create a Vintage Village for the show with authentic clothes from the 1920s to the 1980s and nostalgic home decoration including upcycled furniture, jewellery, kitchenware, luggage, records and maps. 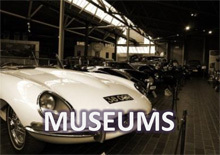 For those attending the show in a pre-1980 classic, the classic paddock parking zone is your opportunity to join the show, while Volkswagen enthusiasts will love the area dedicated to these characterful classics. 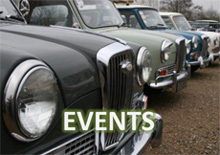 Participant tickets, for those attending the event in a qualifying vehicle, cost £8 adult and £4 child in advance, or £10 an adult and £5 a child on the day. With both advance and on-the-day participant tickets, one child goes free when accompanied by a paying adult. Participants attending in a qualifying vehicle can camp for free on the Saturday night but must book in advance.